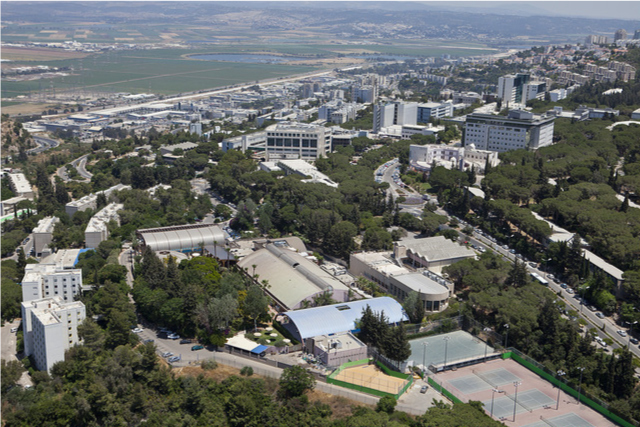 Technion, located in Haifa (Israel), represents one of the best universities and research-technology center of the world! Youth ID had the chance to visit and meet them on their amazing campus. 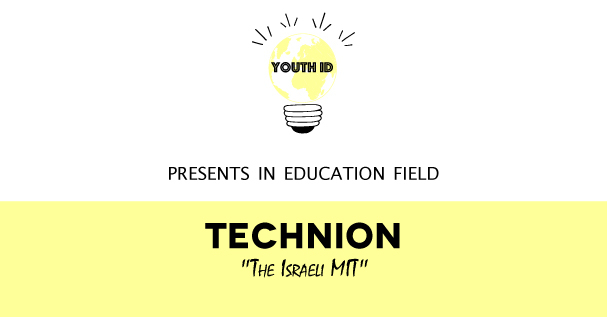 Within 3 parts, find on our infography ad article an analysis of this “Israeli MIT” empowering young people. We thank Naomi Bitansky, head of Technion Visitors Center, for her lightening and transparent answers. In 1912, a group of believer in education gathered in Haifa, north of Israel, to create a scientific and technical academic place for Jews. This world-wide project aimed to give access to education for persecuted people and then to develop new generations of high-skill aiming to lead their country. Today, the Technion welcomes more than 14,000 students from the different backgrounds and nationalities with almost 400,000 USD operating budget a year! This institute of technology is managed by Peretz Lavie. From generations to generations, they have learned through experience the depth of the wisdom of Albert Einstein, chairman of the first Technion Society. With 60 research centers and around 1,600 technical and administrative staff Technion is one of the leader of R&D (research & development) in the world thanks to its 3 Nobel Prize winners and succesfull start ups (Mobileye, Rewalk, Check Point…). In fact, 80% of Israeli companies listed on the NASDAQ are led by graduates of The Technion. “The Israeli MIT” is one of the cornerstone of the start up Nation. After the part I highlighting impressive Technion’s outcomes, we wanted to know the keys of this success empowering young people. We had the chance to have some clue during our interview with one of the key personality of the Technion, Naomi Bitansky. In the Division of Public Affairs & Resource Development, she is welcoming more than 8000 guesses each year and negotiating donation in millions. In 2013 they received 130 millions USD in donation from Li Ka Shing, the richest person in Asie for Technion and also decided to develop a Technion institute in China, the Shantau, Guangdong campus. 3 key words to define your organization? Excellence is reflecting through their 3 Nobel Prize winners (Prof. Aaron Ciechanover, Prof. Avram Hershko, Prof. Dan Shechtman). She believes that a part of their success is linked with “the fact that we born from a tragedy“. Because of that tragedy they fight for excellence and success – or at least they are not afraid of failure. What is your continuous management issue? She spoke about “the recruitment of new faculty members and students. In continuous you need to look for funding because we are in a extremely competitive market with universities like MIT, Stanford, Cambridge, Imperial College, Oxford …“. When we asked her what was the most important issue between looking for funding and recruitment she said smiling “both, it is a chicken and egg situation. Without one you cannot have the other one“. She though before saying “no idea, too many successes. Maybe our Nobel Prize Winners, we are very proud of them“. One failure you had and how you bounced back? This one is a tricky and difficult one in a spontaneous interview. She cannot answer like this. The only important stop in the development of the Technion was the “tragedy of WW2. It was an important milestone in the history of the Technion“. How to attract people matching your needs? Part III : How to duplicate Technion’s success?